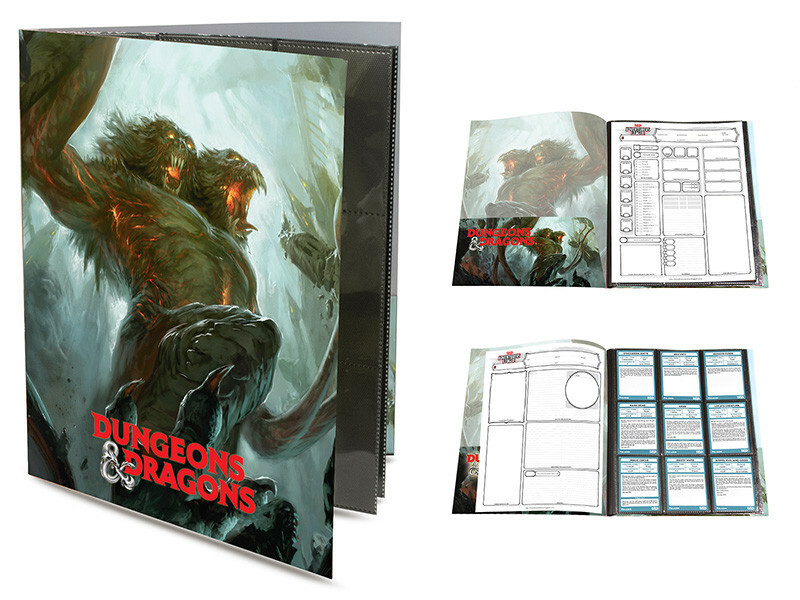 D&D Character Folio holds ten 8 1/2″ x 11″ character sheets and two 18-pocket sheets hold 36 standard size Spell Cards. Includes front and back inner pockets. Features Demogorgon.